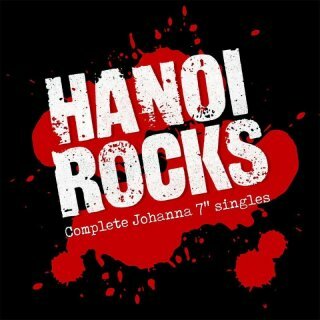 Svart Records, This extravagant Hanoi Rocks singles collection is limited to 555 copies. It contains replicas of all seven 7 inches the band released in Finland from 1980 to 1984, with original picture sleeve art. The set is all on colored vinyl, each disc on a different color ? one for each of the seven colors of the rainbow that the human eye can distinguish.